The next Masters of Asian Cinema film is Lee Chang-dong’s 2018 feature Burning, which screens on Tuesday, April 16 at 6:30pm at Pickford Film Center, 1318 Bay Street in Bellingham. Based on a story by Murakami Haruki, Burning follows Jong-su, a recently graduated aspiring writer, and a young woman from his hometown whom he barely remembers. Soon after reconnecting, the young woman leaves on a trip, only to return with a mysterious young man, and an uncomfortable triangle is formed. The film plays as both a mystery and an unsettling reflection on class, gender, and the threat of violence. Like other films by Lee, Burning causes us to question our initial assumptions about what is going on as the film unfolds. Co-sponsored by Western Libraries and Pickford Film Center, the Masters of Asian Cinema Series features some of the best films in World Cinema. Burning will be introduced by WWU Associate Professor of Political Science Kristen Parris, who teaches Chinese Politics, East Asian Politics, and other courses in comparative politics. She earned a PhD in Political Science from Indiana University, and an MA in East Asian Studies, also from IU. Kristen has traveled to China many times since 1987. She has a variety of publications examining Chinese politics and the uses of power at the local level. 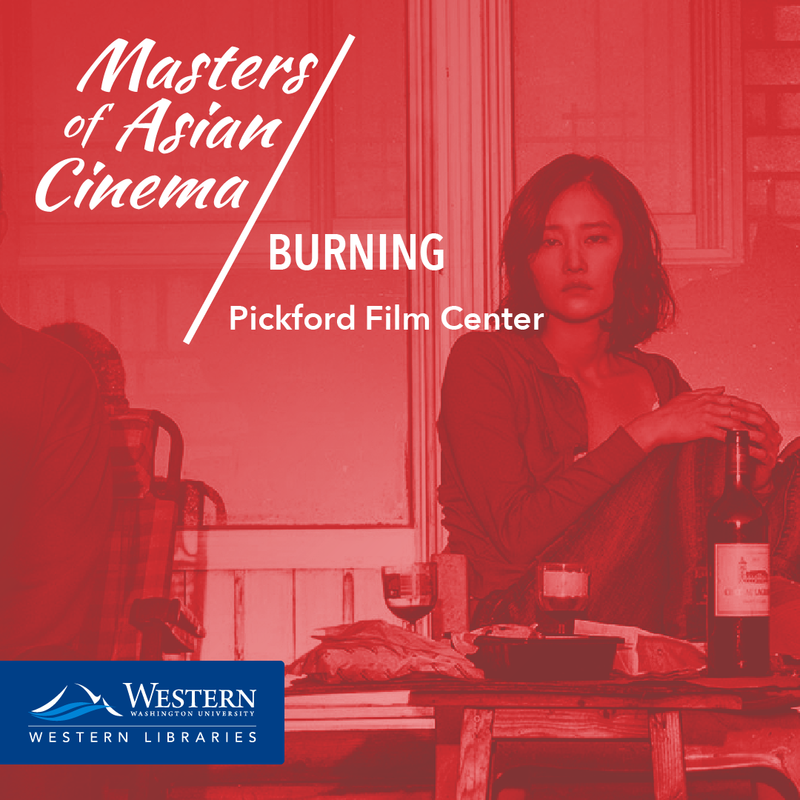 Masters of Asian Cinema at Pickford Film Center: "Burning"